With the patronage by the central government for the launch of seaplane services, the General Aviation segment of the Indian civil aviation industry will finally witness a new dawn! On December 12, 2017, Prime Minister Narendra Modi flew in a seaplane, the Kodiak 100, from Sabarmati river in Ahmedabad to Dharoi Dam in Mehsana district. On December 12, 2017, the last day of the second and final phase of campaign related to the assembly elections in the state of Gujarat, Prime Minister Narendra Modi flew in a seaplane, the Kodiak 100, from Sabarmati river in Ahmedabad to Dharoi Dam in Mehsana district. The Kodiak 100, a product from the Quest Aircraft Company of the United States, is a small high-wing transport aircraft that is capable of carrying up to 15 persons and is powered by a single Pratt & Whitney Canada PT6A 34 750 hp engine. "Earlier today, I travelled on a sea plane from Ahmedabad's Sabarmati River to Dharoi Dam, taking off and landing on water. This experience was unique. It adds strength to our resolve to harness waterways for India's progress." Not only did this flight by the Prime Minister aboard a single-engine aircraft raised concerns among the agencies responsible for his security, it also generated a minor political storm, something that appears to have become a matter of routine and an integral part of the political machinations by the opposition. 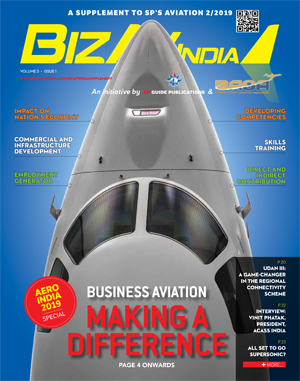 While the flight by the Prime Minister on board a seaplane was projected as a part of the development agenda of the government in power, for the Indian civil aviation industry, it has rekindled hopes of imparting a fresh impetus to the Regional Connectivity Scheme (RCS) or UDAN that has been an area of major focus of the NDA government. Use of seaplanes can open up a new and vibrant segment for regional aviation and consequently provide it the much needed boost. While there are plans to progressively commission hundreds of new low-cost airports to enhance connectivity across the nation and bring affordable air travel to the masses and thereby boost economic growth, the potential of seaplane services in the country has so far remained unexploited. The nation including the island territories, has 21,000 km of waterways which consist of 7500 km of coastline and 14,000 km of inland waterways by way of major rivers. Apart from these, there are around 200 lakes across the country. There is therefore immense scope for the rapid expansion of seaplane services to boost RCS without the need for heavy investments that would be required for building and maintaining runways. Use of seaplanes can open up a new and vibrant segment for regional aviation and consequently provide it the much needed boost. Efforts in the past to exploit this segment of the Indian civil aviation industry have, for one reason or another, not met with success. In January 2011, for the first time in India, seaplane services were launched by Maritime Energy Heli Air Services Pvt Ltd (MEHAIR) in the Andaman and Nicobar Islands to primarily support the tourism industry, but closed down after three years. MEHAIR also planned to launch similar operations in Maharashtra and Goa as well, but never took off. Kerala Seaplane, a commercial seaplane service promoted by Kerala Tourism Infrastructure Limited, was launched on June 02, 2013 at Kollam with the inaugural flight being operated by Kairali Aviation. However, commercial operations could not commence due to opposition from the local fishing community. 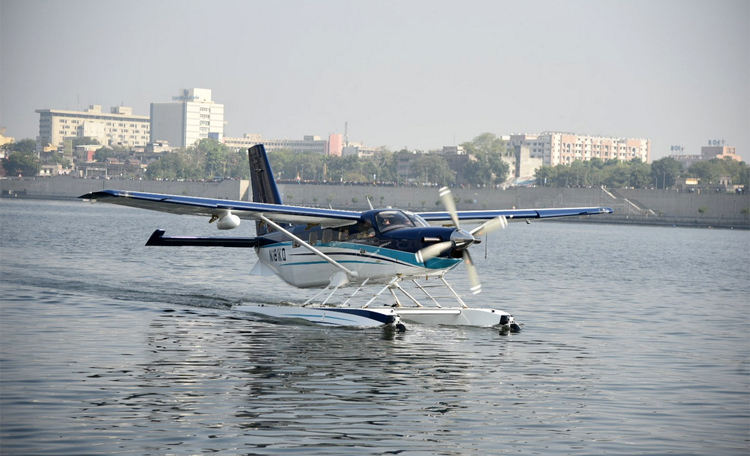 In 2014, a seaplane service was launched to connect Mumbai to tourist destinations in the Western Ghats, providing an alternative to four or five hour long drives on the Mumbai-Pune expressway. However that service did not find a market as it failed to draw clientele. The flight by the Prime Minister on board a seaplane was projected as a part of the development agenda of the government in power, for the Indian civil aviation industry, it has rekindled hopes of imparting a fresh impetus to the Regional Connectivity Scheme (RCS) or UDAN that has been an area of major focus of the NDA government. However, things are now set to change. All initiatives in the past to exploit this segment of the civil aviation industry were undertaken and supported locally without the involvement of the government at the centre. There is now a paradigm shift as is evident from a statement by Nitin Gadkari, Minister for Shipping who said, "All players are welcome to enter the market once the gates are opened. We will formulate a policy for this in three months. It has been a dream that I have nurtured. Conversion of rivers into waterways and the availability of of lakes and dams that can be converted into airports with minimal expenditure on small floating jetties." 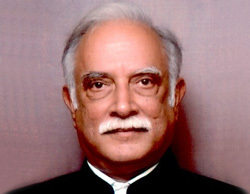 Ashok Gajapathi Raju, Minister for Civil Aviation, termed the move as an extension of UDAN scheme. "If all goes according to what we think we are capable of, in the third round of bidding for UDAN, these aircraft can also come in."